I decided to kick off this blog by interviewing Kate of Koeppel Design. She was sort of the nudge I needed in getting this started after we connected over a ridiculous 1950’s meme suggesting women don’t care about the nerdier side of vinyl collecting. Her dividers are not only timeless and perfectly crafted, but as her tagline suggests she makes ‘record hoarding look damn good’. Kate, is a designer and the founder of Koeppel Design. She and her team design and manufacture a collection of wood home products to organize, display and protect vinyl records and other analog media. We have a large record collection at home, and one of our favorite things to do is have a few friends over to listen to records, have a cocktail and share music. I realized that a lot of our friends and family felt a little nervous about digging into our collection- I think they were worried about doing it wrong, messing things up, or just didn’t know how or where to start. I made a set of wood record dividers for our own collection because I wanted it to be more social and friendlier to get involved, and I couldn’t find anything on the market that was well made, and looked good. At the time, I had a small graphic design studio and it was just a one-off project… fast forward a few months and I was making them for friends and then suddenly strangers across the country who’d seen photos online. I started selling just a few sets in an online shop in 2013, then Urban Outfitters placed a massive order with me in 2014 that pushed me to grow very quickly, set up a really efficient production system, studio and get some production assistants. By 2016-2017 my business had grown substantially to become my full-time job, with over 20 different products. Feels like the blink of an eye! A typical day starts with a cup of coffee and reading the news at home in pajamas, usually with a cat or two trying to interrupt, or at least join me. I try very hard not to check my work email or social media accounts until I’ve had at least had a cup of coffee and woken up. If I check email before, I will usually get sucked into it, and won’t have a calm start to my day. On a good day, I’ll have breakfast, then I’ll spend a few hours responding to customer and retailer emails and doing any custom design work in the queue, before I head into the studio for the day. I have a work uniform of coveralls and clogs, I made myself start wearing a uniform in the studio, so I wouldn’t need to waste any time or energy in the morning figuring out what to wear! Since the weather in San Francisco only varies about 15 degrees year round, it is pretty easy. A typical day in the studio for me is overseeing production, my assistant is usually there doing production work and packing orders and keeping our inventory updated and full. I’ll usually continue design work, update our website and blog, then work on any upcoming commissions or collaborations. Some of each day is usually focused on solving production issues, or planning production for the following weeks or months. On a calm day, I’ll usually leave by 4, so I can go home, wrap up any last emails for the day, and get out for a walk or run errands before wrapping up my work day around 6/7. When KEXP was moving to a new beautiful location, I got involved to help create record dividers for their new vinyl and media archive (open to the public by tour). We worked together to create LP and 45s dividers that would help organize their collection of over 12,000 records (and that is just an estimate!) It is probably the biggest collection we’ve organized to date. For me, it was really fun to help KEXP take care of their collection, and help make it more visible and accessible to the public and visiting artists, musicians and the DJs there. KEXP is also working to digitize their collection, and make it accessible online. 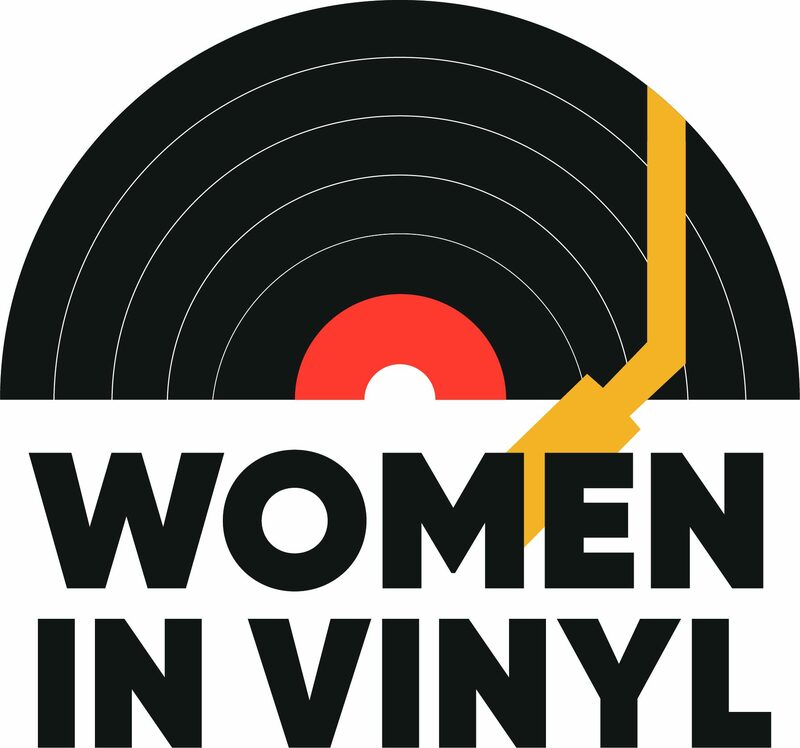 When I first started out, working with vinyl/music, and additionally working with wood both felt like massively male-dominated fields, I was very sensitive and afraid of not being taken seriously. It is also very white, very older male, and that isn’t frequently a fun or encouraging group to engage with. The constant chorus of men being angry because I make expensive, handmade products that they like and want, for a hobby they feel very possessive about was exhausting and kind of crippling. It took some time to filter out the all-male voices and find women who were just as passionate and talented, and most importantly, supportive. Vinyl collecting is a hobby for so many people (in theory, the hobby is about pleasure, emotions and happiness) but is a section of that community that can be very obsessive, very critical and aggressive, and those voices can be challenging to engage with. There will always be people who want nice things, but want to pay Ikea prices, but its not sustainable. The true cost of making physical things isn’t easy for a lot of people to understand in the time of free amazon shipping and low quality-high output brands… I’ve learned slowly but surely I can’t please everyone, and I certainly won’t like my work if I try to. Over time I’ve developed a thicker skin, and I make an effort to seek out other communities of collectors, men and women alike who are happy, kind and excited about music and design, and value handmade goods. Those people are my people! I think what has been helpful to me along the way is to reach out to other women who are doing jobs or creating work that are inspiring me. I have met so many cool women by writing them a fan letter and saying I’d love to chat. I have learned the most from those women. Don’t be afraid of competition or looking uncool- when you see someone doing good work, tell them! I have a nice network of ladies across the country that I know I can reach out to when I need help or advice, and we share resources and support each other’s work. also, don’t read comments on the internet! People are much ruder online and they’d never be brave enough to say those nasty things to your face. People love to complain, even when they are not your people or your audience. Take feedback from people who understand your goals, not weird dudes writing you rude emails or comments at 3am. You could say I fell into it, although growing up in Seattle, I had so much exposure to great music. My partner had a large record collection when we met, and while we were both really into music, I only had CDs. I started getting into vinyl about 10 years ago, and now our collection is totally intermixed together. Our vinyl collection is now at the center of our home. Working with vinyl and vinyl-obsessive people has actually slowed my own collecting, and I tend to spend less time outside of work hunting or digging through our own collection. We mostly listen to vinyl at home, but lately I’ve been a bit more hands off about it because it honestly brings my brain back into work mode… my husband plays DJ more often, while I shout out requests and he does all the flipping. Cratedigging is a hobby that has sadly been killed by my work… so I really don’t enjoy it anymore. Now it feels like work! I really like hiking, and there are a ton of great city-adjacent trails in San Francisco that make it easy to get out and hike. I also find working with my hands to be really relaxing, so I sometimes sew, make baskets, I do a lot of cooking… tasks that are repetitive but physical that allow my brain to wander while my hands are busy are the most satisfying. Right now, I will admit that I like really mainstream Italian pop music. I go through phases of obsessive listening, and right now it is Italian pop. If it were in English, I would not tolerate all the cheesy lyrics and pop-beats… but I have been trying to improve my Italian (which is admittedly very rusty since I don’t have much opportunity to use it these days) and pop music is a good way to listen and practice! I recently discovered Frah Quintale which is a newish pop-hip-hop group, but I also love some older disco-infused Raffaella Carrà from the 70s and Fred Buscaglione from the 50s and 60s. We’ve been going to Rome for the holidays for the last few years and picking up a few Italian records each time. Really Great interview. @recorddividers is new to me. I’ll definitely check them out. Great interview. Looking forward to reading this regularly!